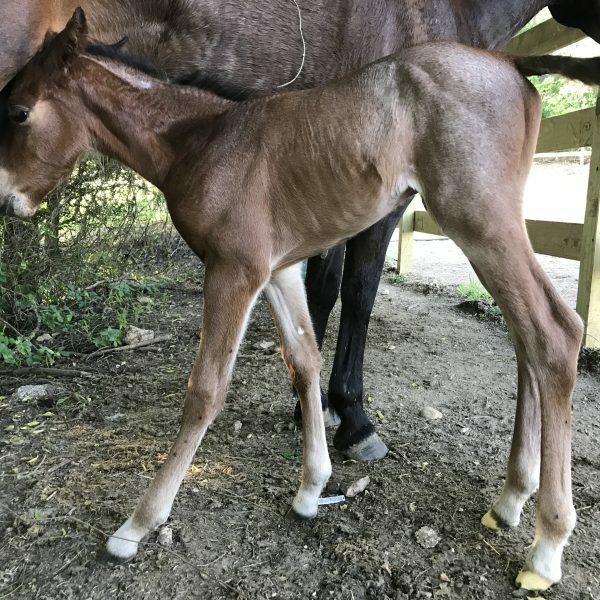 2017 AQHA Filly- Not for sale! Ha! We did it. Gambled on a kind of stand offish ) ok, really stand offish) AQHA mare bred to red roan Wriggly, and we got just what we asked for. It’s Christmas in March over here at Maverick Dude Ranch because we’ve been blessed with the presence of a beautiful baby bay roan filly. Charlotte the bay roan filly was born in the wee hours of Monday morning. March 27th. 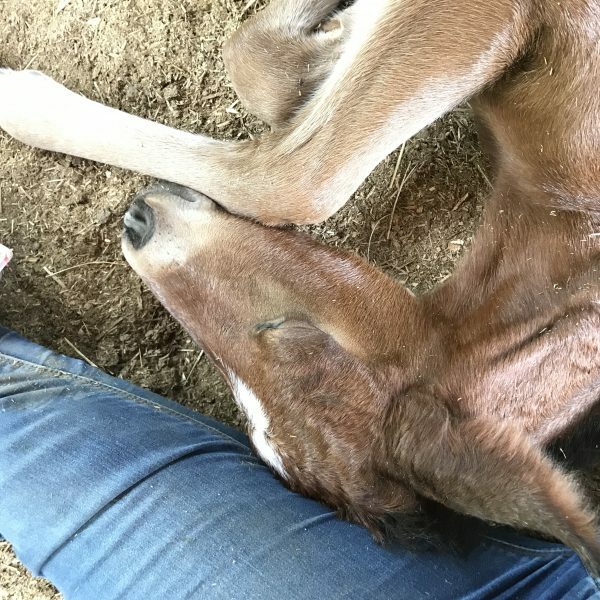 Her Brown Quarter Horse mom is a good old pro as a brood mare, so she didn’t need much help bringing this little beauty into the world of our very own Maverick Horseback Riding Stables. Natural Horsemanship Trainer MacCoy was ecstatic to get the little roan. “I told [my son] Sam that if it were a red roan we would buy cheap etoricoxib keep her and she’d become part of the breeding program. I’d say Bay roan should do it!” MacCoy said. All the wranglers and horseback riding students at Maverick Stables is pleased to have the new addition. She’s already had a good amount of short stints of handling by MacCoy, a visit from the local veterinarian of Luling, Texas, and a “thumbs up” all around. “How exciting!” texted Anabelle Croft, who’s been working with Maverick for two years. She is a weekend warrior here and can’t wait to come check out the new baby foal. Want to enjoy seeing Charlotte, the new baby horse, and ALL our stunning horses? Come visit our dude ranch located in Central Texas and have a relaxing and gorgeous day at Maverick Horseback Riding Stables! Bay Roan filly of Dam, Kats Royal Jacket bred to red roan stallion Wriggly (of Peptoboonsmal and Little Dancer Lena), foal date 3/27/17. Barn name, Charlotte, will be used for the breeding program at Maverick Valley Farms.